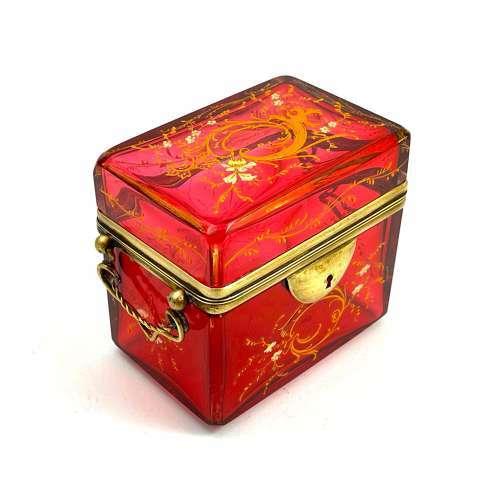 Antique MOSER Cranberry Glass Enamelled Casket Box. Beautifully Enamelled with Scroll Work and Flowers. Smooth Dore Bronze Mounts and Double Loop Handles.